Organization Development Consultant and Facilitator at Change Events, Inc.
Shem Cohen, Principal of Change Events, Inc., is an Organization Development Consultant with renowned expertise successfully engaging stakeholders in collaborative planning and leading organizational change. His work rests in the belief that, in order to create sound, actionable strategies for a business, lead successful change across an organization or help a team resolve critical issues, the right people need to be engaged meaningfully & productively, discover common ground and be inspired to act with resolve to create something new. Shem has had the honor of his work included in three globally-published books on best-practice collaborative planning. Most recently, in the 25th Anniversary Edition of ‘Productive Workplaces’ by Marvin Weisbord, voted by Strategy and Business Review as Top Shelf Business Book and by the Organization Development Network as one of the most influential books in the field of the past 40 years. More important, Shem has had the great fortune of being able to, “sit at the feet of masters and drink with thirst their wisdom”. 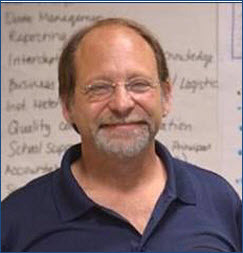 Shem Cohen holds a Master’s Degree in Organization Development from the American University and NTL Institute for Applied Behavioral Science. He is a highly experienced change agent, large-and small group facilitator, trained Future Search Consultant, Open Space Technology facilitator and holds qualification in Dialogue through the Public Dialogue Consortium. Mr. Cohen also holds certification in MBTI as well as a number of other proprietary psychometric tools. Shem has spent his life working with people from all walks of life and dedicates himself towards helping the world become a better place, one initiative at a time. Creating a sound strategy for an organization demands quality data generation/analysis and that leaders make tough decisions on hard choices. A great strategy isn’t the product of plugging in the right numbers and pulling a lever to get the ‘right’ answers. Successful strategy is created through leadership’s understanding of markets, customers, position, competition, organizational capabilities, resources and, ultimately, through rationalizing the trade-off’s involved across important decisions and in making the tough calls. A strategic plan that sits on the shelf isn’t a strategic plan. It’s a paperweight. Bringing the plan to life through engendering the clarity, focus and commitment of those needed to implement is the key. People need to buy-in. To do this they need to be engaged at appropriate and meaningful levels and in ways which bring them to say, “This makes sense for the business, this is something I want to be a part of and help to make happen”. Shem Cohen specializes in the design and facilitation on-target, efficient planning for clients which deliver exceptionally high returns on ROI. Whether leader’s wish to create strategy and cascade targeted goals throughout their organization, test their thinking with stakeholders from across their system or engage their people in full partnership to determine company direction and actions needed to achieve the vision, Mr. Cohen orchestrates the right process to engage planners in the most productive and time-efficient ways possible. The results are a strategic plan which represents the best thinking (and intuition) the organization has to offer, effective partnerships and the commitment of people to see it successfully through. Upwards of 70% of organizational change efforts fail to meet value goals due to lack of executive sponsorship, inadequate project management, failure to create effective partnerships or an inability to secure stakeholder buy-in. Two-thirds of merger integrations fail because, while the numbers may look good on paper, successful integration can only happen when people create the shared meaning, goals, agreements and commitments which evolve two companies into one. Successful change is about people and, as Marv Weisbord says, ‘what they’re ready, willing and able to do’. Whether change is needed to restructure divisions, develop and implement new technologies, improve systems and processes, improve teamwork or transition leaders, Shem helps clients reduce complexity, plan productively and leverage the human side of enterprise towards implementing successful, value-adding change. Life and relationships can get quite challenging. We all are called upon to navigate complex realities and confront issues on many fronts, manage opposing interests and sometimes profound differences. Whether there are concerns preventing teams from achieving their greatest performance potential… executives from engaging each other productively… partners from seeing a future together… family-business members from sharing Thanksgiving together… or regional and corporate offices not integrating as they should to create value, the complexities of interdependence, shared rewards and the human side of organization will invariably, at some point, create situations which beg resolution. Shem Cohen brings a unique mix of skills and experience to clients to help people engage fully, align their goals, interests and values and create lasting solutions. Mr. Cohen’s work rests in his abilities, developed over the past 30 years working with people/groups, to create optimal conditions for people to come together in honest and productive deliberation, collaboratively re-direct their trajectory and create their own best solutions – often in situations where people didn’t think this was possible. Shem achieves these outcomes through a deep understanding of organizational and human systems, his extensive experience as counselor, diplomat, mediator and facilitator and, at the core, being the person Shem is in the world as someone who truly cares about helping others to create more meaningful, successful and fulfilling lives. Thank you for successfully leading us through a challenging and complex strategic planning initiative. With your guidance, we were able to create a vision and strategies for accomplishing what we had to accomplish in an amazingly short amount of time. This planning initiative has been successful beyond our wildest expectations! The work you accomplished had effects that were immediate and far reaching. Silos were broken down, morale and teamwork were significantly improved and we created massive improvements in customer service. From a dangerously under-performing company, this campaign, over a period of 18 months, returned [us] to profitable operations and almost doubled the highest level of profitability previously attained.